Todd was a drug addict and atheist for 22 years—when in 2004—he was radically set free! Todd believes that redemption and righteousness are the foundational keys for living life as a new creation in Christ. After God opened Todd’s eyes to this truth, Todd’s foremost desire is to see the Holy Spirit flowing through believers everywhere that they go–at work, school, grocery stores, malls, gas stations, and more. Todd’s true joy is being able to reproduce a 24/7 kingdom lifestyle in every believer. His heart is to activate people in the simplicity of who they really are and confront the barriers that hold them back from being who God created them to be. No one is excluded! 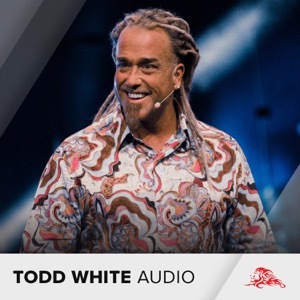 | To learn more about Todd White and the ministry of Lifestyle Christianity, visit lifestylechristianity.com.